A fifteen man ICC Americas Squad has been announced for Nagico Super 50 tournament in Barbados. ICC Americas team consist of players from USA, Canada and Bermuda cricket teams. Nitish Kumar who is captain of Canada cricket team is named captain of ICC Americas while USA cricket team captain Steven Taylor has been named vice captain of the team. ICC Americas 15-man squad consists of 8 players from USA, 6 players from Canada and only 1 player from Bermuda. Nagico Super 50 competition will start on 24th of January and will end on 18th of February 2017. ICC Americas are included in Group B and will play their opening game against Combined Campuses and Colleges on 26th of January 2017. 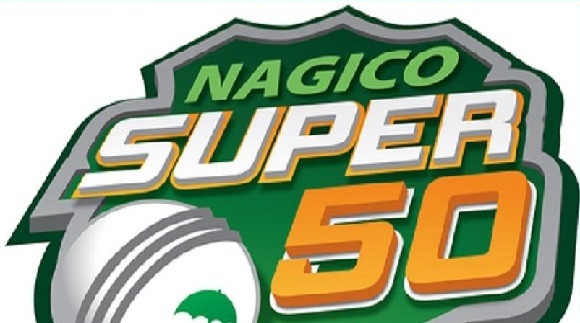 Nagico Super50 also known as Regional Super50 is one-day cricket competition hosted in West Indies. ICC Americas went win-less in 5 games in recent Nagico Super 50 tournament 2016. Some players from previous squad are retained, while few are omitted and fresh faces are added to ICC Americas new squad based on recent performances. Newly announced captain was the top wicket taker with six wickets and score over 100 runs. Srimantha Wijeyratne was top scorer with 130 runs in 4 innings. Captain of ICC Americas 2016 squad Ruvindu Gunasekera has been left out of the squad. United States of America young talented pace bowler Ali Khan has been retained in the squad even though he recently recovered from injury and didn't played much of ICC World Cricket League Division 4 tournament. 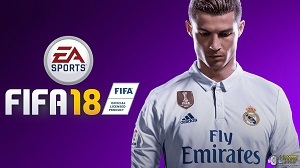 Steven Taylor will be Kumar;s deputy in the tournament which will give him bit more exposure to leading team in competitive matches. USA batsman Alex Amsterdam, all rounder Timroy Allen and magical leg spinner Timil Patel are retained in the squad. Bermuda allrounder Kamau Leverock is the only player chosen in Americas team which will be a bit of disappointment for Bermuda. Canadian players were the top performers in competition earlier this year and there will be a lot of expectations from them in next year tournament. ICC Americas squad for Nagico Regional Super 50 tournament is well balanced. It has a mixture of specialist batsman, pace bowlers, spin bowlers and quality allrounder from USA, Canada and Bermuda cricket team. Most of the representation is from USA due to lot of quality players in the region. ICC Americas will be hopeful of winning some games in upcoming tournament even though they will be competing against world's finest players from West Indies and Kent county cricket club from England. ICC Americas Squad: Nitish Kumar (captain), Steven Taylor (vice captain), Hamza Tariq (wicket keeper), Timroy Allen, Srimantha Wijeyratne, Saad Bin Zafar, Alex Amsterdam, Fahad Babar, Timil Patel, Cecil Pervez, Jessy Singh, Nicholas Standford, Nikhil Dutta, Ali Khan and Kamau Leverock. Teams in the regional ODI tournament are divided in to two groups (Group A and Group B). Each group consists of 5 teams, below are the teams and their respective groups. Group A: Trinidad & Tobago, Windward Islands, Leeward Islands, West Indies U-19 and Kent (English County). Group B: ICC Americas, Guyana, Jamaica, Barbados Pride and Combined Campuses and Colleges.